The essence of getting a tattoo is to capture a magnificent object of appreciation attached on your body, therefore it’s really important to get a tattoo with a symbolic meaning. 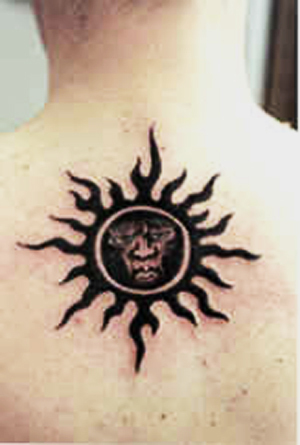 Sun tattoo has a huge symbolic as well as artistic value, regarding to the sun as our most important source of life and energy. 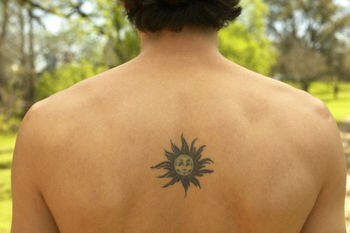 A sun tattoo aesthetically looks sleek and powerful. 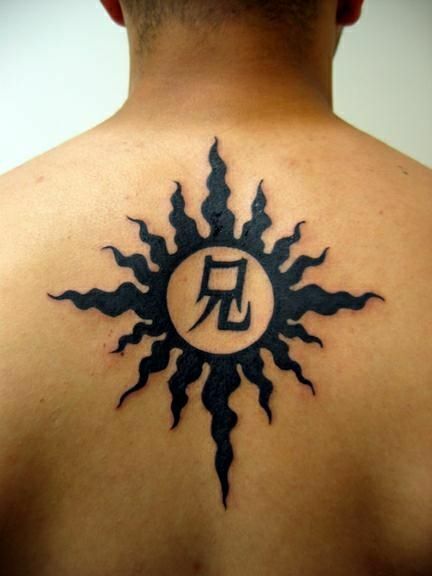 Not until recently, the sun tattoo has been often a gender exclusive tattoo for girls, but in the recent years men are also employing Sun Tattoo. 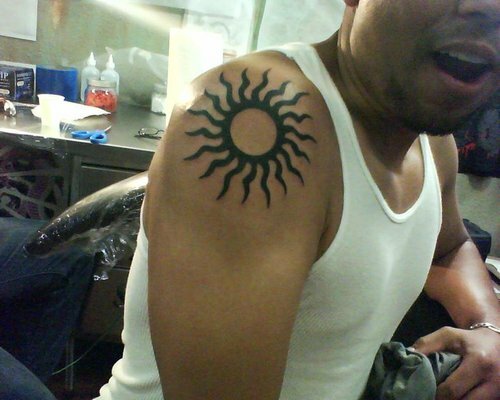 Check out the showcase of 10 Sun Tattoo designs for men. 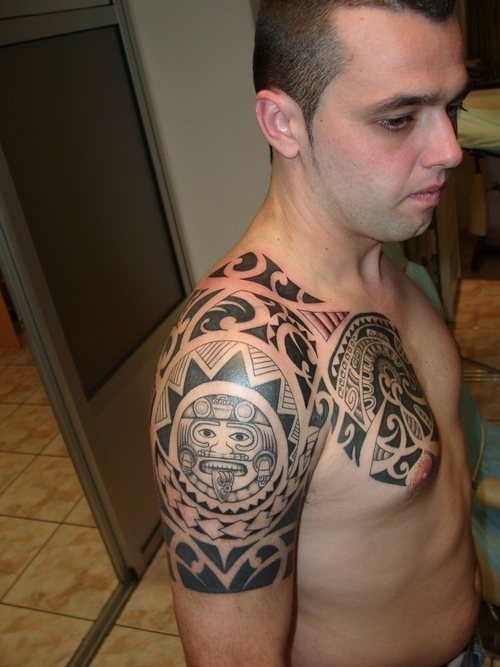 This is really bold and beautiful Maori Tribal tattoo. 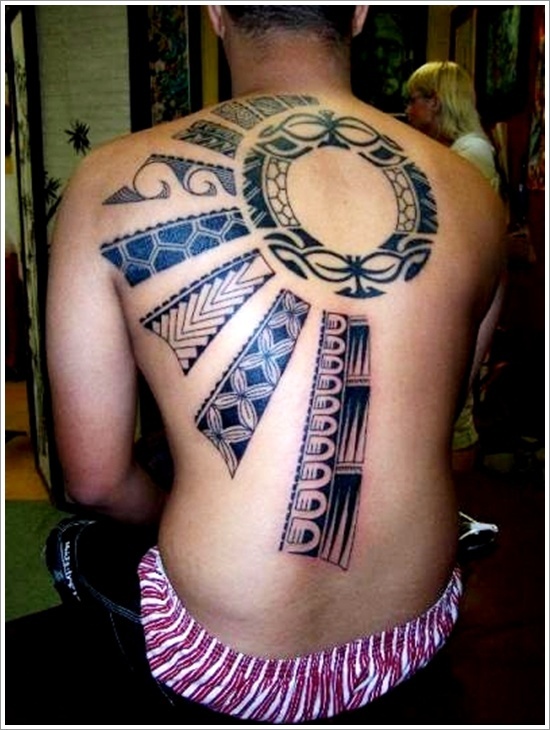 It is a good thing that this tattoo is positioned on the upper hand because of its texture and bold design. 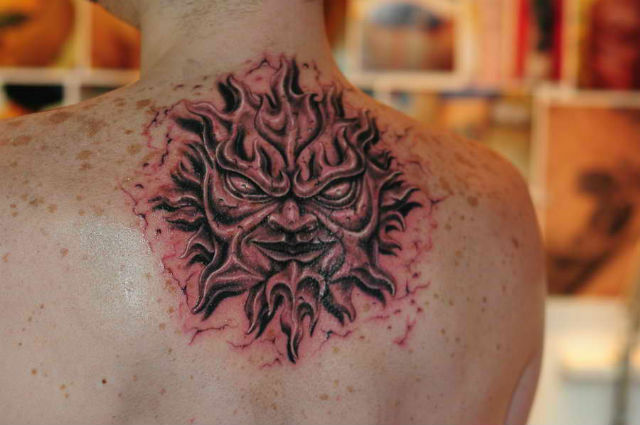 The creative form of the sun in combination with the solid black ink provides this tattoo with beautiful and high quality note. 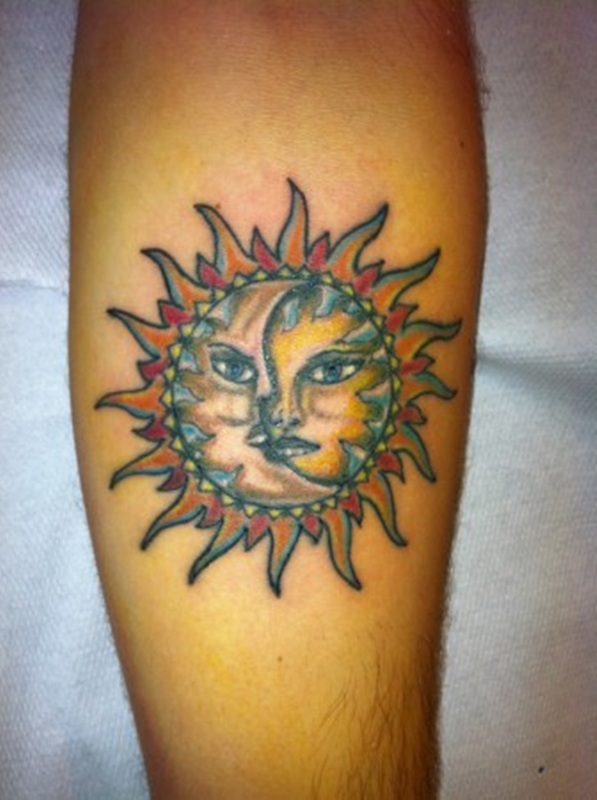 The quirky face inside of the sun tattoo adds a unique and distinctive value of this creative tattoo. A sun merged with the moon is often used to present the meaning of these two elements together. This tattoo holds a huge symbolic value. 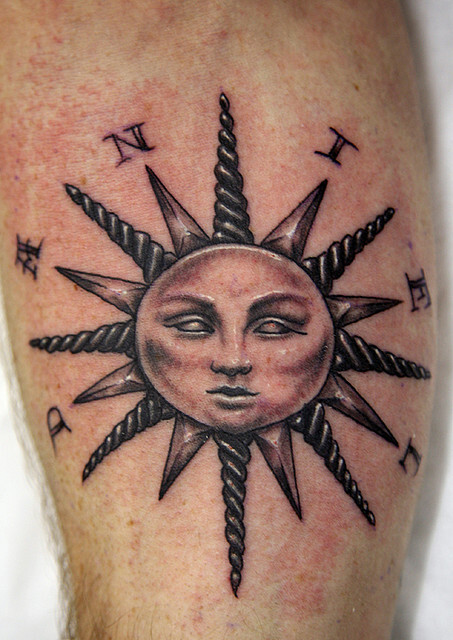 The small size in combination with the creative form of this sun tattoo provides it with cool aesthetic value. This is really bold and dramatic tattoo on the back. The bold texture goes perfectly with the large size of the tattoo. The Japanese sun tattoo has a huge value in the ancient culture. 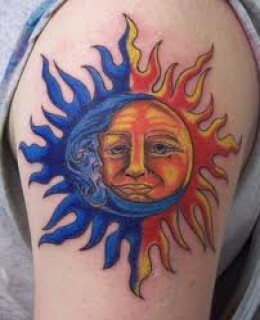 The red ink adds to the symbolic value of the evil sun tattoo. The colorful design in combination with the sleek texture provides this tattoo design with beautiful appearance. The texture and the ink technique of this tattoo design is flawless.